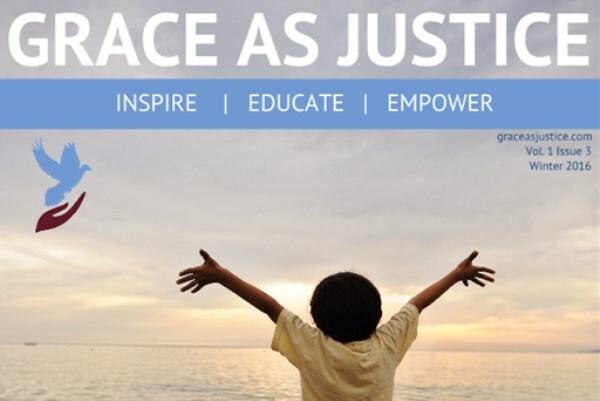 Today I am putting together an article for the next issue of "Grace As Justice". As I read through the last issue's articles, I am moved by the fight for justice so many organizations are taking on. If you read my last blog for XP Missions, I defined JUSTICE from my friend, Jennifer, as "taking up the cause for restoration of every violation of Love. Taking the wrong and making it right". http://graceasjustice.com/ I believe it will be well worth your time. I wrote the following article for XPMissons Blog Today . . .
Where does God command His blessing? What kind of people receive God’s blessings? Here are a few scriptures that invite us to a walk of justice, a journey through obedience and contending for unity, because this is the kind of lifestyle that liberates God’s blessing. Follow link to continue reading . . . I woke up this morning to my son waiting for me and wanting to wish me happy mother's day as the rest of the house sat sleeping. He was intent on getting up before me to start my day right, and soon after my foster daughter texting affirming my attributes in her life. So precious! Then both Destiny and Simeon wrote me poems for mother's day. I love them! Here are pictures of my treasured poems. As my daughter, Destiny, is now in high school, it seems like every moment together becomes more and more sacred. I realize I only have a few years left with her (and the others) living at home. Sometimes I wish I could build small apartments onto my house and they stay forever, other times I am looking forward to the "leaving the nest" stage. Ha! :-) This past week, my daughter begged for a date night with me (as she was sick with strep throat/flu and missed a few days away with me in Phoenix at an event). So, I cleared the evening, packed a small overnight bag and headed down (about 150 feet away) to our Casita to have a girls-night-out. We snuggled up to a movie and popcorn and talking. Life is rich when your high school daughter is begging for time with you. I know these days are precious and so I honor them as gifts to me. This morning Patricia King released this prophetic word and I would like to share it with all mothers and women. I love the life God puts inside of us as Releasers of Life and carriers of the breath of His Spirit . . .
Women of God Arise! You are “Life givers” – “Releasers of life”! I have anointed and appointed you to create life and impart life in everything that you do. And everywhere you go. Everything you touch and give your attention to can receive My life because you are My Life-giver. You are My releaser of Life. In this season you will see Me do exceedingly abundantly above all you could ask or think. The dreams and visions you have being carrying in the womb of your heart that appeared dead with no breath or hope in them, will in this season arise with the breath of My resurrection life because you are a Life-giver. You are a releaser of Life. You will speak to dry bones and they will come to life. You carry the breath of My Spirit… My love. You are a life-giver. You are a releaser of Life. You will give birth to God-given mandates and divine assignments that will be filled with life and fruitfulness for the glory of God. You will give birth to things that do not yet exist because you are a Life-giver. You are a releaser of Life. Life-giving, Life-releasing women will rise up in the nations in this hour and they will do exploits that touch every sphere of society. Yes, a great company of women who proclaim My Life-producing, Life-imparting gospel will arise and give voice to My wisdom, power, and purposes. Many women will be anointed with evangelism callings and will give birth to great harvests in the nations. The older women and the younger women together will give birth. Do not say, “I am too old to bear a child or I am past child-bearing years so I cannot give birth”. Did I not fill Sarah’s womb with a God-appointed son? Did I not fill the womb of Elizabeth with a prophet whose words are remembered and settled for eternity? Even as they gave birth to significant divinely appointed sons in their older years so it is that many women in their latter years will give birth to significant Kingdom ministry assignments. The younger women also will arise even as I filled Mary with the Savior of the World, I will impregnate the younger women of this generation with destiny calls and mandates that will transform culture. The younger women will carry wisdom from above – wisdom that is beyond their years of experience. They will be Life-givers. They will be releasers of Life! These birthings will come forth through intimacy with Me. In the secret place of My presence they will be impregnated with calling and purpose according to My will. You are a Life-giver. You are a releaser of Life. This is what you were created for!